April 06-07 2019. Blackwood River, WA. 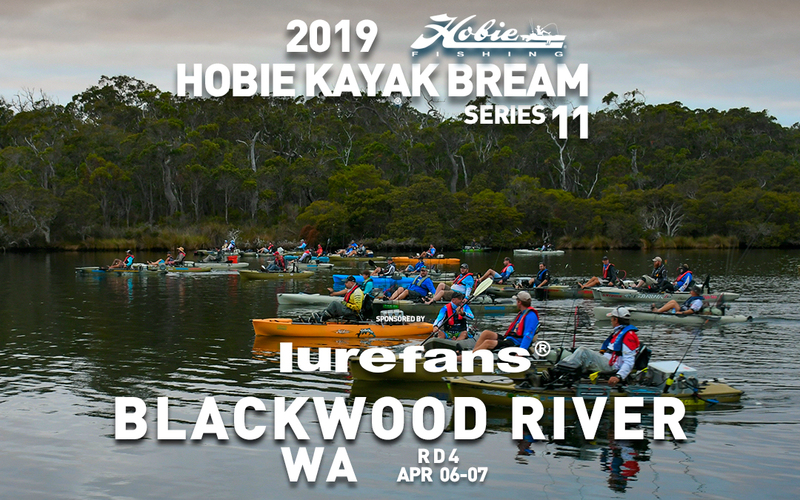 Lurefans Round 4, the fourth round of Hobie Kayak Bream Series 11, will take place on the Blackwood River at Molloy Caravan Park, Western Australia. Thirty-one anglers made their way to the Blackwood Rive in Augusta to take part in the Lure Fans round four of the Hobie Kayak Bream Series 11. The weather conditions over the two days were perfect for kayak fishing. 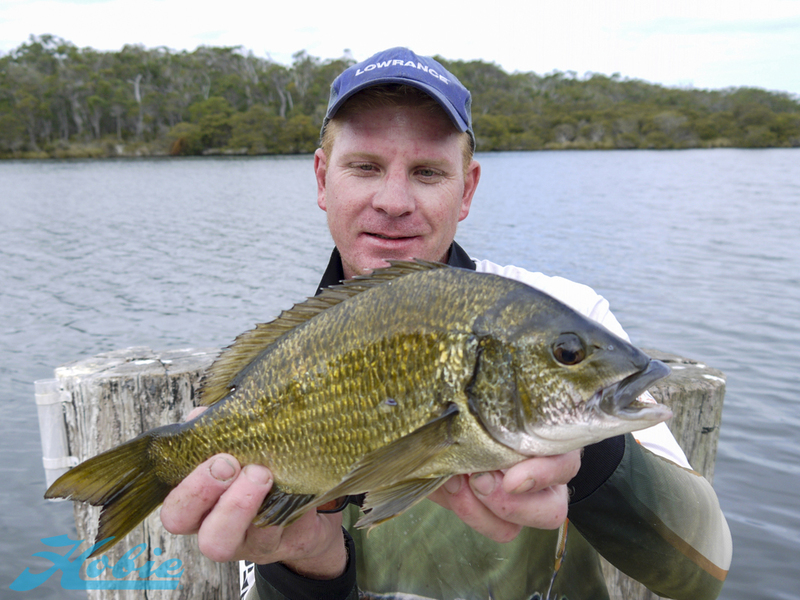 Moderate south westerly winds ranging from 5-10 knots ensured that each angler had a comfortable experience on the water no matter which region of the Blackwood River they chose to fish. Comfortable may it have been for the anglers, the lack of wind over much of the weekend didn’t encourage the larger bream to feed all that readily. 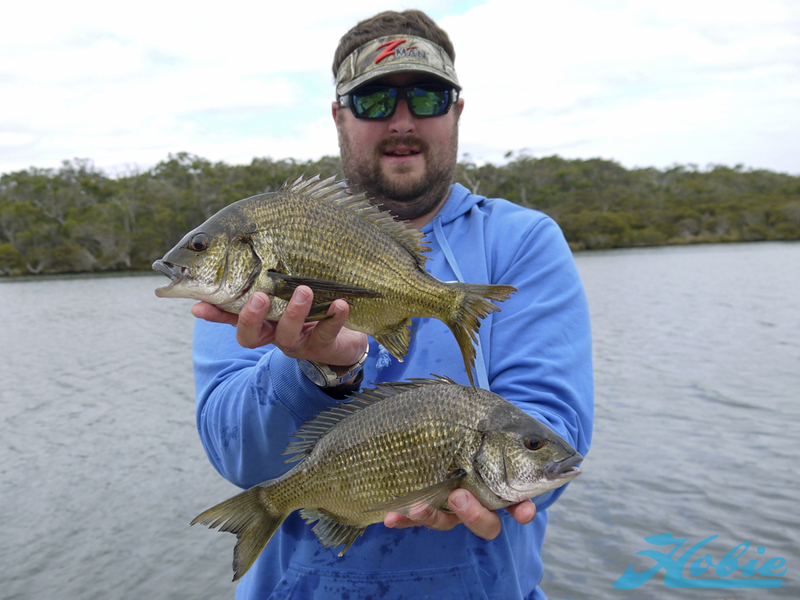 Therefor it was going to be those who were able to catch a kicker fish or two each day that would decide who would take out the fourth round of the Hobie Kayak Bream Series 11. The conditions at the start of the first day (Saturday) were not suitable for the Blackwood River and the day started off slowly for many of the anglers. Sunny skies and next to no wind created a mirror like sheen over the water and this sent the bream into hiding. 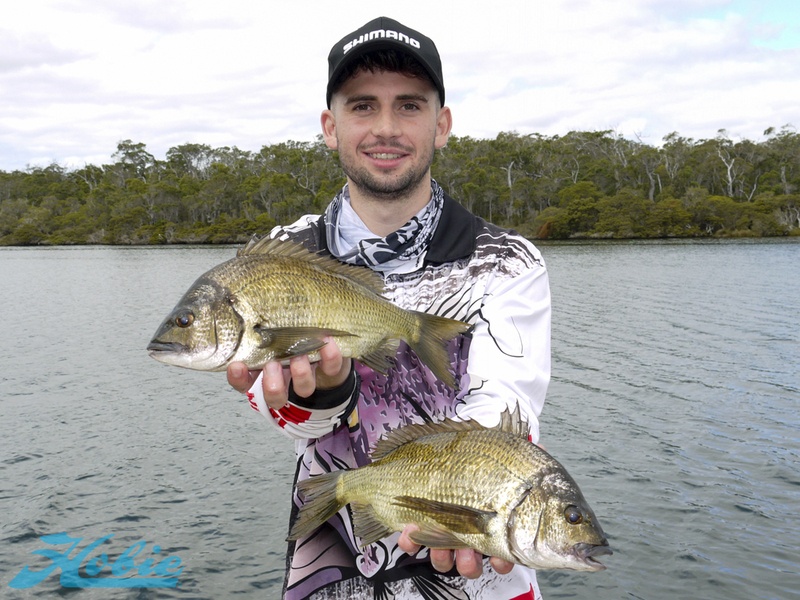 Anglers had to throw their lures deep into the thick snags in order to draw a bite but this resulted in many bust offs that the Blackwood River bream are renowned for. Yet as the day went on, the clouds rolled in and a breeze followed which got the ball rolling for many of the anglers. It was during these last few hours in the day that the anglers were able to find those ever so important kicker fish. John Sorrell led the way at the close of day one weighing in three fish for 2.1 kg’s which consisted of a 1.05 kg bream that won the Atomic big bream that he caught during the late stages of the session. John fished the lower reaches of the Blackwood River in which he concentrated on the banks that surrounded Malloy Island. Fred Fraser closely followed in second place with a full bag weighing in at 2.040 kg’s and Paul Burton rounded out the top three with full bag weighing in at 2 kg’s. 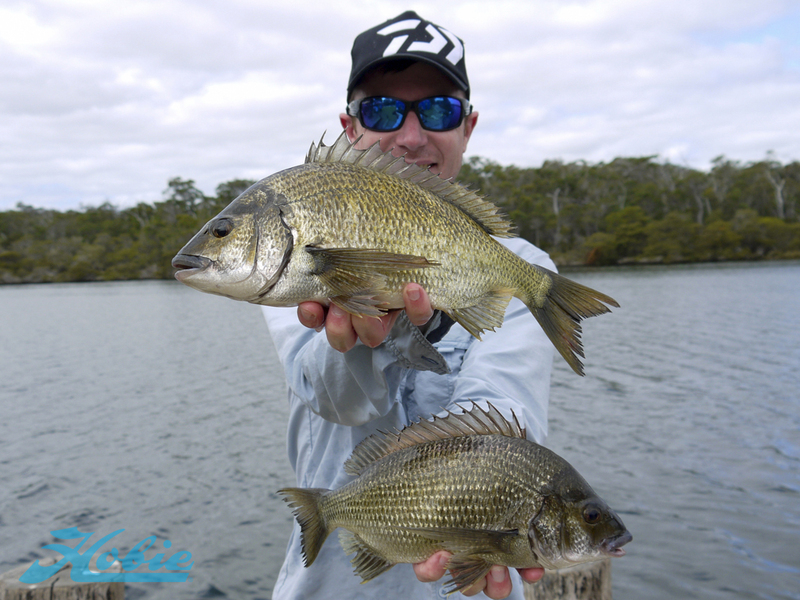 Day two (Sunday) started off with ideal conditions for chasing black bream. Anglers took advantage of the overcast skies and a moderate south westerly breeze which resulted in plenty of the field bagging out in the morning. Yet many of the larger fish that were caught on the first day seemingly weren’t taking a liking to many of the offerings thrown by the anglers. As a result, the majority of the field weighed in lighter bags on the second day and because of this, a tight finish on the leader board followed. On the first day, 86 legals were brought back to the scales for a total weight of 40.890 kg’s. The average size bream on this day was 475 grams. On the second day, 83 legal sized bream were weighed in for a total weight of 36.580 kg’s with the average size bream weighing 441 grams. 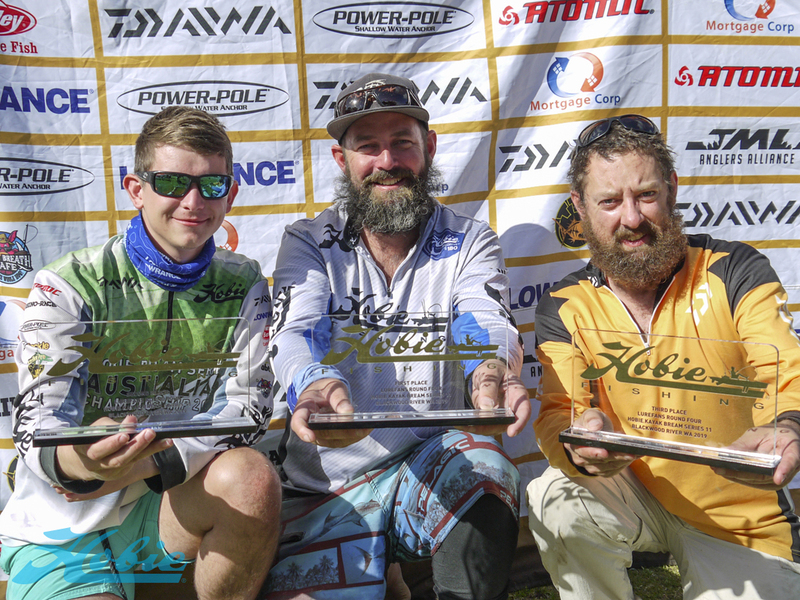 It was a photo finish ending in the race to claim victory in the fourth round of the Hobie Kayak Bream Series 11. 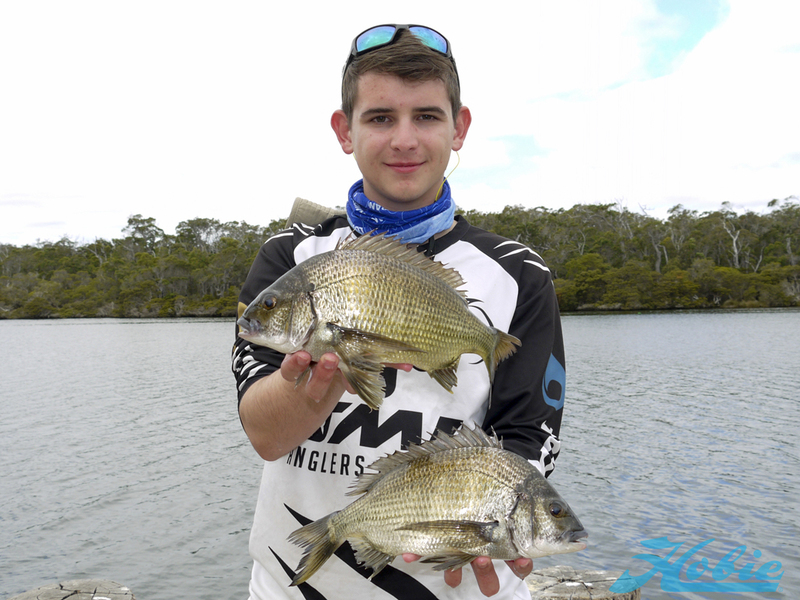 Third placed anglers, Fred Fraser was able to catch enough quality sized bream to remain on the podium by weighing in a full bag for 1.450 kg’s which gave him a combined two-day total of 3.490 kg’s. Joseph Gardner however climbed a couple of places to finish in second place by weighing in 1.570 kg’s which gave him a combined two-day total of 3.500 kg’s. Paul Burton was the last angler to weigh in his bag. He needed 1.51 kg’s to win the event and he waited nervously for the scales to reveal the final reading. He had a good reason to be nervous because this was going to be a very tight finish. The reading on the scales rose to 1.7-1.8 kilos and the crowd started clapping. However, the reading of the weight started to plummet and the clapping temporarily stopped before resuming when the weight settled on 1.550 kg’s. 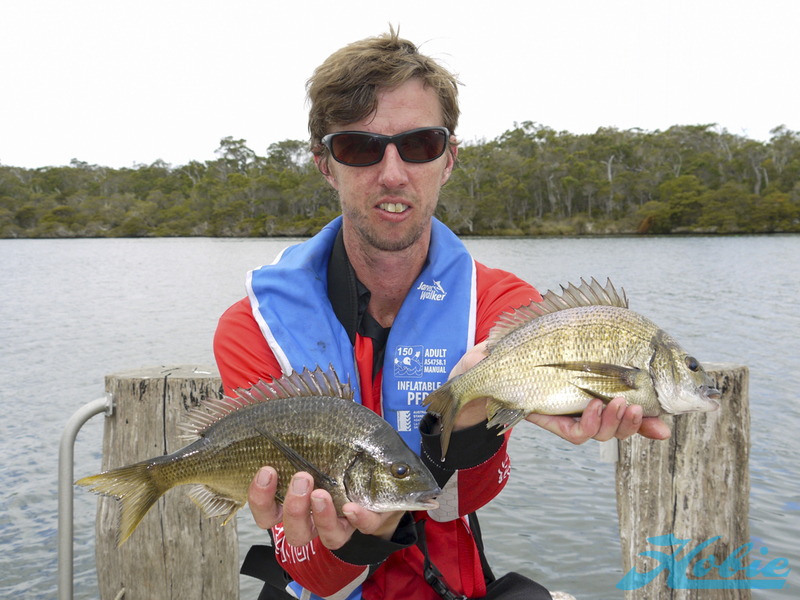 Paul Burton had taken out the fourth round of the Hobie Kayak Bream Series 11 by 50 grams with a combined two-day total of 3.550 kg’s. 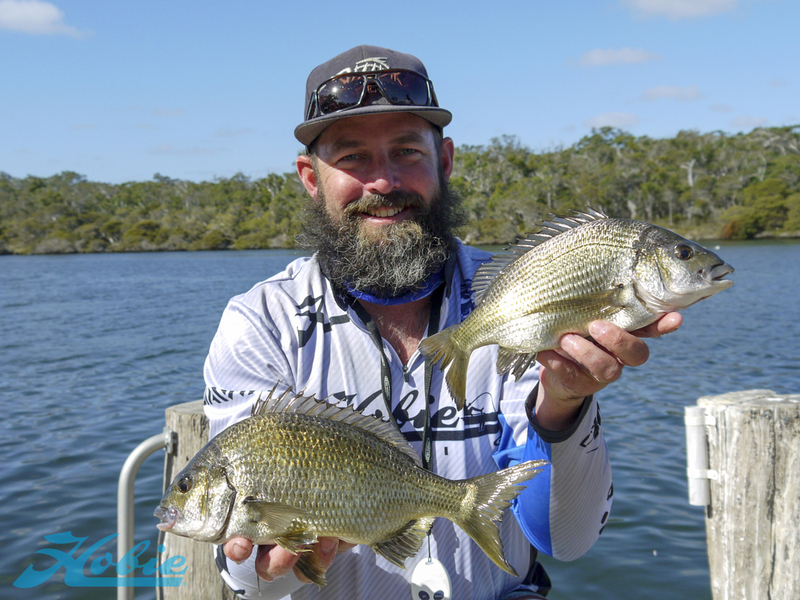 The 2017 Australian Champion, Paul Burton, started the 2019 Hobie Kayak Bream Series in perfect fashion in which he showed the field of thirty-one anglers why he is a force to be reckoned with wherever he goes. Paul almost took out the 2018 Australian Championship in Forster, NSW, finishing in fourth and his form leading into 2019 suggests he will once again be one to watch when the 2019 Australian Championship commences. On day one, Paul traveled upriver to the ski area on the Blackwood River and his day got off to a good start with his first legal measuring 31 cm’s to the fork. 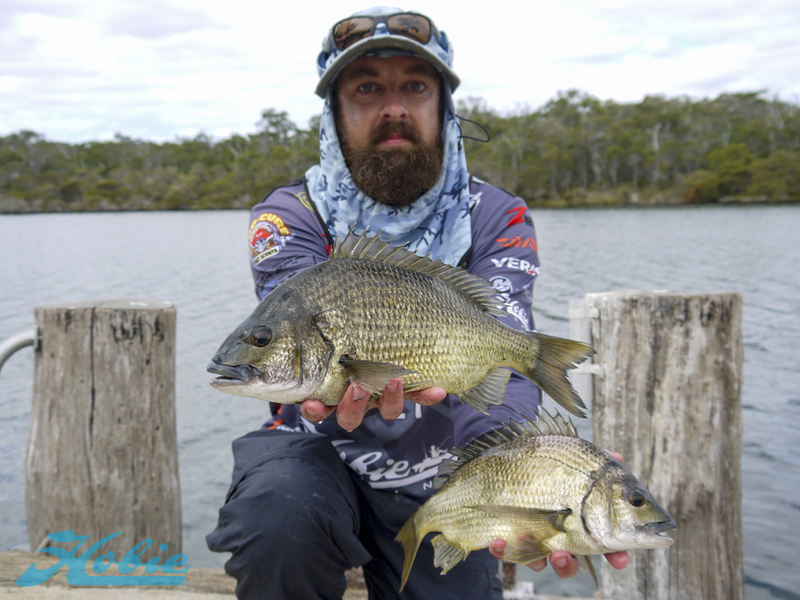 From there on wards, Paul could only manage to catch undersized bream so he made a move of about three kilometers upriver to fish his next spot which consisted of shallow sand banks on the edges of deep drop offs. This proved to be a successful decision and because of his power pole on the back of his Hobie Pro Angler kayak, he was able to anchor himself in a prime position to work the spot just the way he wanted to. It was in this spot that he caught many legal sized bream which including two of his three kicker fish for the day. His day one bag tipped the scales to a dead even 2 kg’s which set him up for his day two assault. Day two started off well for Paul Burton. Paul returned to the same spot that he fished on the first one and by doing so he caught a bag very quickly. He fished this spot for the next two and a half hours but hadn’t exactly found the same size fish as he did on the first day. Therefor Paul opted to move further downriver to fish similar looking spots in the same fashion as he did on the first day by using his power pole to anchor him on the shallow sand banks. Once again the decision payed off and he was able to make a couple of upgrades including a final upgrade in the last five minutes of the day. This final upgrade would perhaps be Paul’s most important catch of the event as his narrow margin of victory suggests. Joseph Gardner is one of Western Australia’s young guns and he backed up his reputation with another fantastic performance during this event. 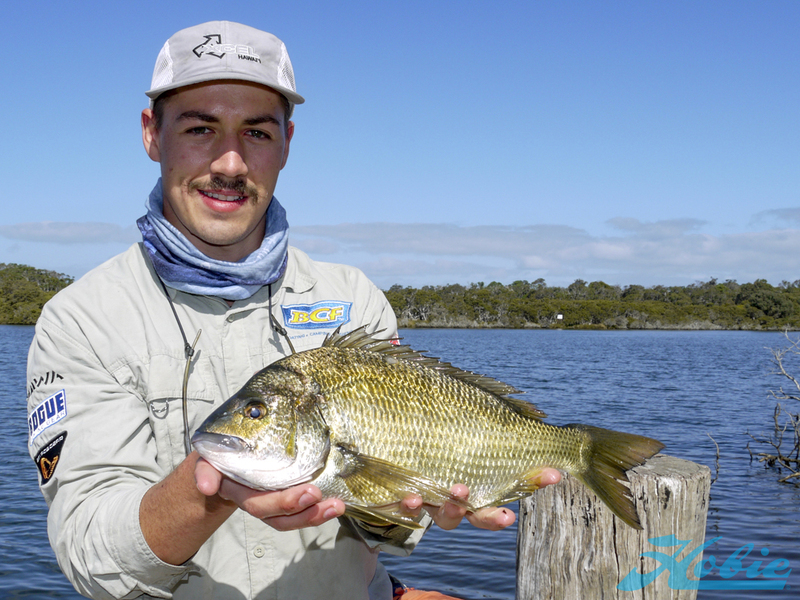 After coming in third place in the 2018 WA Bream Classics Boat Series grand final which was held on the Blackwood River, Joseph used his knowledge of the system to good effect to round out another podium finish. In stark contrast to Paul Burton, Joseph ventured downriver on both days to fish the rocky points, tea tree snags and man-made structures that are dotted throughout the region. The tactic Joseph employed was very similar in most of the types of structure that he fished. The tactic was to cast 50 mm salt and pepper colored Ecogear Aqua Prawns deep enough into the structure to draw a bite but not too deep so that he couldn’t wrestle the fish out of their homes. Due to the unforgiving structure in these areas, this was a critical element to his success on both days but it didn’t come without its fair share of bust offs. Unfortunately for Josephs sake, the majority of bust offs occurred on the second day including a couple of missed opportunities in which he feels could’ve given him the win. Any disappointment that he may have been feeling was quickly replaced with the satisfaction of qualifying for the 2019 Australian Championship. 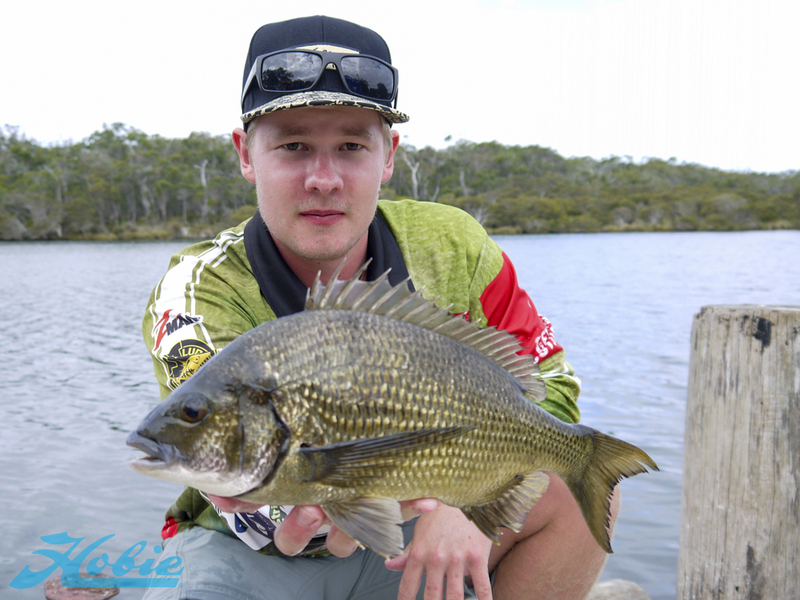 John Sorrell caught the Atomic big bream for the event by catching a 1.05 kg black bream in the dying stages of day one. What a way to end the day! Early Entries Close at midnight AEDT on 30 March 2019. April 06 – 07, 2019. Monday, 25th March up to and including Thursday 4th April.